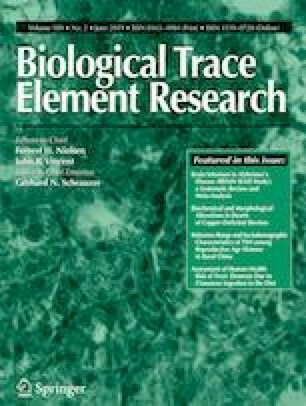 The purpose of this study was to analyze the existing studies and to investigate the relationship between the risk of colorectal cancer (CRC) and intakes of four individual dietary elements calcium (Ca), iron (Fe), magnesium (Mg), and potassium (K). All relevant articles in both Chinese and English were searched and collected from PubMed, Web of Science, and Chinese National Knowledge Infrastructure databases up to December 17, 2017. There were 29 eligible literatures selected for further meta-analysis, including 14 cohort studies and 15 case-control studies. The meta-analysis of cohort studies indicated that the high intakes of dietary Ca and Mg were negatively associated with the risk of CRC, as the hazard ratios (HR) were 0.76 (95% confidence interval (CI) 0.72, 0.80) and 0.80 (95% CI 0.73, 0.87), respectively. Nevertheless, high intake of dietary heme Fe was positively correlated to the incidence of colon cancer (HR = 1.01, 95% CI 0.82, 1.19) and rectal cancer (HR = 1.04, 95% CI 0.67, 1.42). A meta-analysis of case-control studies indicated that high intakes of dietary Ca, Mg, and K were negatively related with the occurrence of CRC, because the odds ratios (OR) were 0.36 (95% CI 0.32, 0.40), 0.80 (95% CI 0.63, 0.98) and 0.97 (95% CI 0.74, 1.21), respectively. However, high Fe intake from diet was positively correlated with the rising increasing of CRC (OR = 1.04, 95% CI 0.91, 1.18). More research is needed to indicate the risk relationship between element intake and CRC. This study was supported by the Fundamental Research Funds for the Central Universities (No. 2042017kf0031), Natural Science Foundation of Hubei Province (No. 2018CFB131), and the National Natural Science Foundation of China (No. 81773471).